We are a dynamic chartered accountancy firm in Newcastle-under-Lyme, Staffordshire established over 30 years ago. Whatever your size and type of organisation the expanding team of over 50 staff at Thompson Wright have the skills set to help your business. In our team we have experience and continuity – over half our staff with 10 years experience and more. 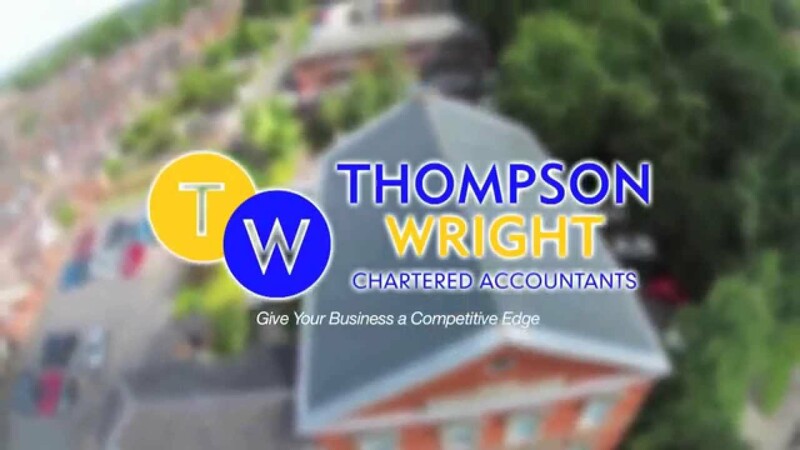 Regular staff training and updates on all the team ensure Thompson Wright Accountants gives you relevant and current business advice. We understand that every business is different. From the first visit always by one of our directors we see and understand your business at first hand and give you a personal service with bespoke financial solutions. When you come to see us you get the full support from the Thompson Wright team. Christian was so helpful, Mark was a pleasure to deal with and it is so nice to be meet with a friendly smile!!! We cover everything business services include: Accountancy, Tax Planning, Bookkeeping, Audit and Assurance, Management Reporting and Sage. Our personal services include: estate planning, retirement strategies, self-assessment, and personal tax planning. Contact us today to find out more about how Thompson Wright can help your business. We take our clients privacy very seriously and would never want to send you marketing communications you do not wish to receive. To let us know your preferences with regard to marketing communications, please complete and submit the form below. Please tell us if you do not wish to receive marketing information of various types below. We use email to inform our clients about new or additional services that may be relevant to them. We do not make marketing phone calls. These choices will not prevent us from contacting clients about important regulatory changes that may affect them, such as changes in tax law. If your connection to us is through a company, partnership or trading name, please enter the name below. Continuing your development and prosperity. As an established business your goals are continued growth and development to achieve long term prosperity. However, you need a solid platform from which to do so. Strengthening your market position. Large organisations have different needs to start-ups and early stage businesses. Your company has accounting systems in place and a strategic business plan that has resulted in increased growth and turnover. The business now needs to consolidate its market position to maintain its competitive advantage. We recognise that there are specific industries that require a superior level of technical knowledge and capabilities. These sector specialisms have their own unique issues, handled by our industry experts who deliver a range of measurable benefits.